FACT CHECK: Was Vanilla Ice Cream Originally Black? Was Vanilla Ice Cream Originally Black? A photograph of Morgenstern's Black Ash Coconut was used to illustrate a falsehood about the "original" color of vanilla ice cream. 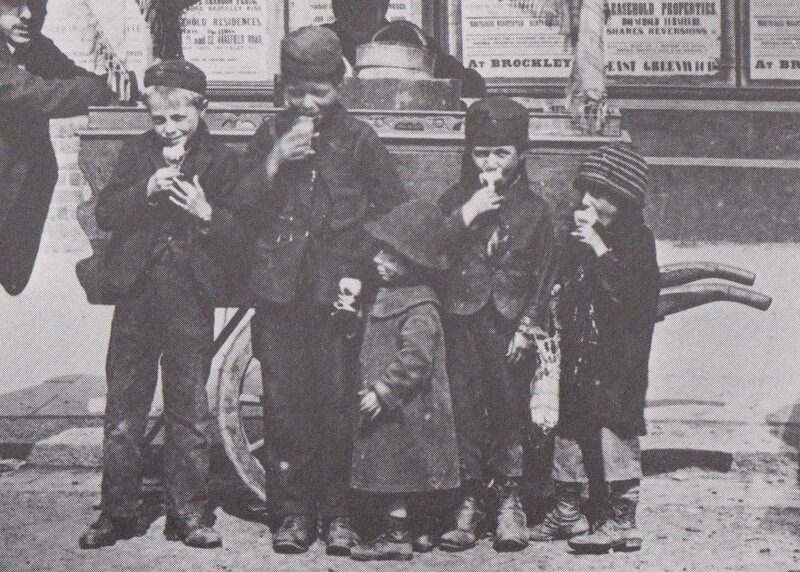 Vanilla ice cream was originally a deep, dark black color before white people demanded it be changed in 1912. One does not need to be a history buff or a culinary whiz to be skeptical of the claim’s veracity. Anyone who has ever made vanilla dishes is probably aware that vanilla packs a lot of flavor into a relatively small bean and is rarely more visible than small dark specks in dishes such as crème brûlée. 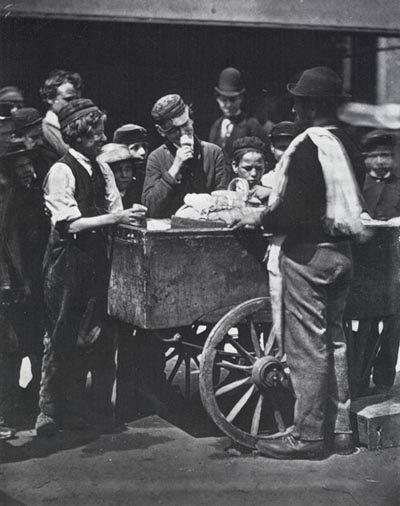 Photographs from 1900, 1908, and 1909 showed similarly pale ice cream. We contacted a representative for Morgenstern’s in 2017, who told us that the image indeed showed its “coconut ash” flavor and confirmed that they also sold black cones. In 2018, the New York City Department of Health issued a ban on usage of activated charcoal in foods. The flavor has since been removed from the menu. So although the image of black ice cream was real, its backstory is not. Vanilla ice cream is naturally off-white, and the meme has no basis in fact. Updated to reflect that Morgenstern's no longer sells the black ice cream.